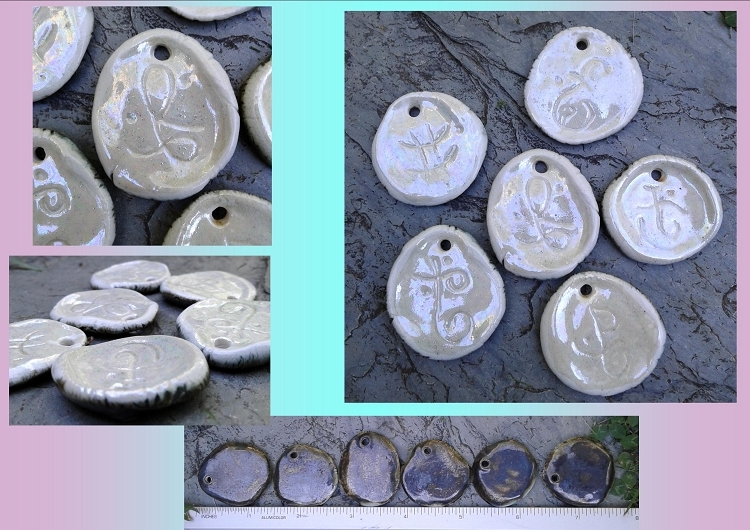 Set of 6 beautiful sacred Light Language symbol pendant made from fine porcelain. 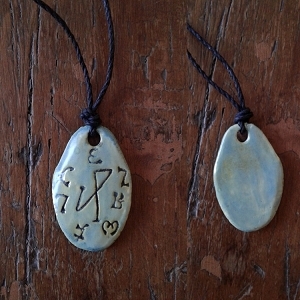 I made these pendants from porcelain clay, dried and carved it with the Atlantean Golden Light Codes fired it then glazed and fired it once again. A mother of pearl glaze was applied and a final firing was done. 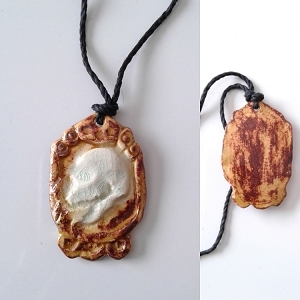 The pendants are glazed a burnished gold on the backs. 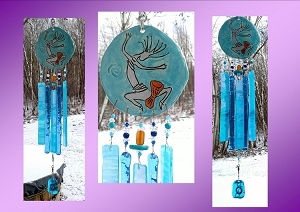 Perfect for making necklaces, bracelets or using as mosaics. Let your imagination be your guide! 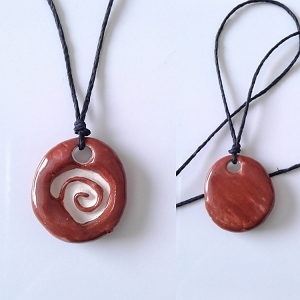 The pendants vary from 1-1/8" to 1-1/4" in diameter by a little over 1/8" thick. (30-35mm x 4mm) and the holes are 3mm. Light Language is an angelic voice bringing the pure vibration of love, endless love, waves of love rippling throughout the universe in a Harmonic Frequency of Light Codes. The Language of Light is a Universal Language an ancient language or angelic voice. Light Language activates codes of knowledge and light opening individual chakras for healing and transformation upon the planet. The sound activates your higher self through the octaves of harmonic pulsing, a frequency of light that is held within your DNA Light Bodies.